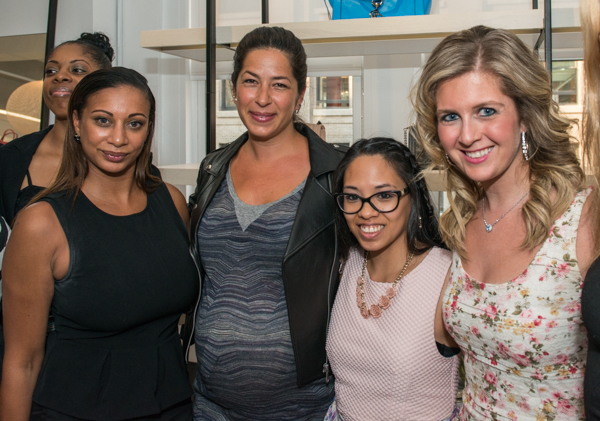 I recently had the pleasure of attending the Ladies NYC Sip and Shop event in collaboration with Rebecca Minkoff. 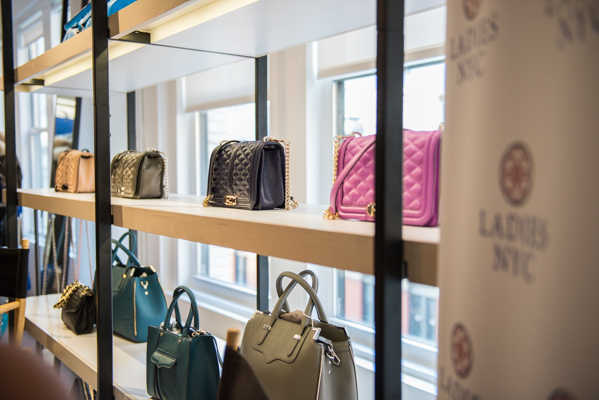 The event was held in Minkoff’s NYC showroom. 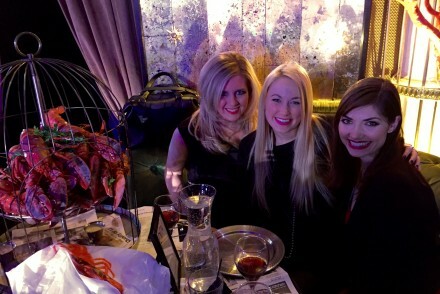 Many young, professional women attended to hear Rebecca speak about being an influential female designer in New York City, and giving back to the community in charitable ways. As Rebecca told told her story, I was truly inspired by the her journey. She began sewing at an early age and found her passion in life. 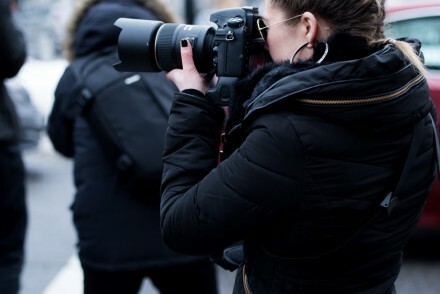 It was through an hard work, perseverance, and a bit of luck which helped Minkoff to launch her successful brand. She originally started with a clothing line selling t-shirts around 9/11. Soon after, she was challenged to create handbags. Rebecca designed the Morning After Bag, which was soon in high demand, and made the brand so successful. Several years after creating her accessory collection, she developed a clothing line. She currently produces a runway show to showcase her collection, each fashion week. As Rebecca spoke, she was gracious, humble and honest. She told her story just as it was. She spoke about struggles along her path, and how she overcame them. She also discussed the joy and excitement she felt when she achieved her goals. Each challenge and decision Rebecca was faced with made her a stronger designer. That effort and determination is reflected in her brand. Rebecca Minkoff’s clothing and accessory collections are absolutely beautiful. The styles are unique, the colors and textures are stunning. Each piece is high quality and includes intricate details. It was wonderful chatting with Rebecca. I admire her strength, creativity, and the incredible brand she has created. 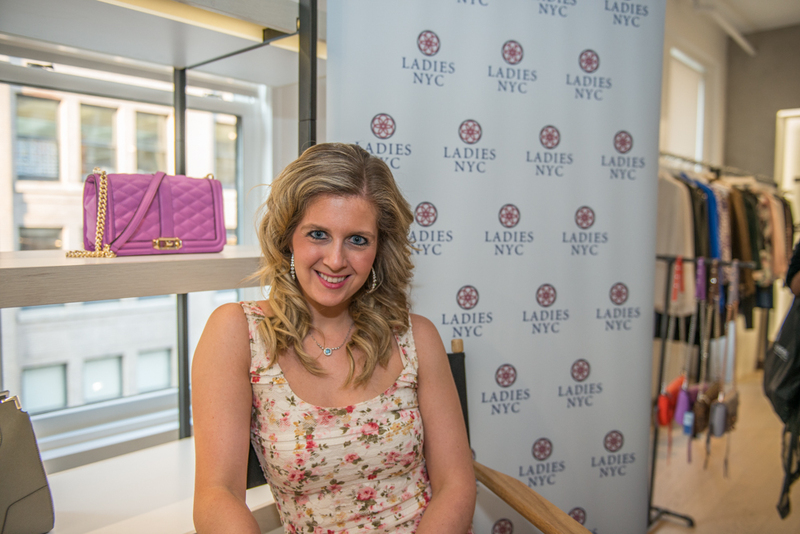 The event was hosted by Ladies NYC, which is a local chapter of Ladies America. 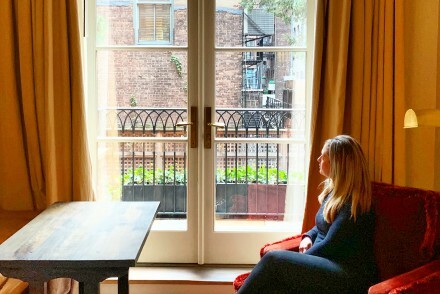 The company was founded to help women connect with each other and support each other personally and professionally. Their motto is “Women Helping Women.” The company provides a network of women who support each other. They plan events to inspire and help young women on their professional journey. I had the opportunity to meet the lovely Lindsay Mask, who is the Executive Director, and Founder of Ladies America. It was interesting to hear her story, as well as her inspiration in creating the company. Each of the monthly education events has a theme, and the topic for July is “Women Giving Back.” They also hold an annual conference each year. If you are interested in becoming a member, you can contact info@ladiesamerica.org. We had a wonderful evening sipping and shopping the night away in Rebecca Minkoff’s showroom. I met some incredible women, who I hope to stay in touch with. my friend showed this post to me and said I was in it! I’m the petite girl in between you and Rebecca. I totally meant to connect with you at the event but my mind was thrown off with the shopping! By the time I was looking for you I think you left! This is why social media is amazing! Anyway I’m Rhea, check out my blog out too. I blog about fashion design and my personal style.